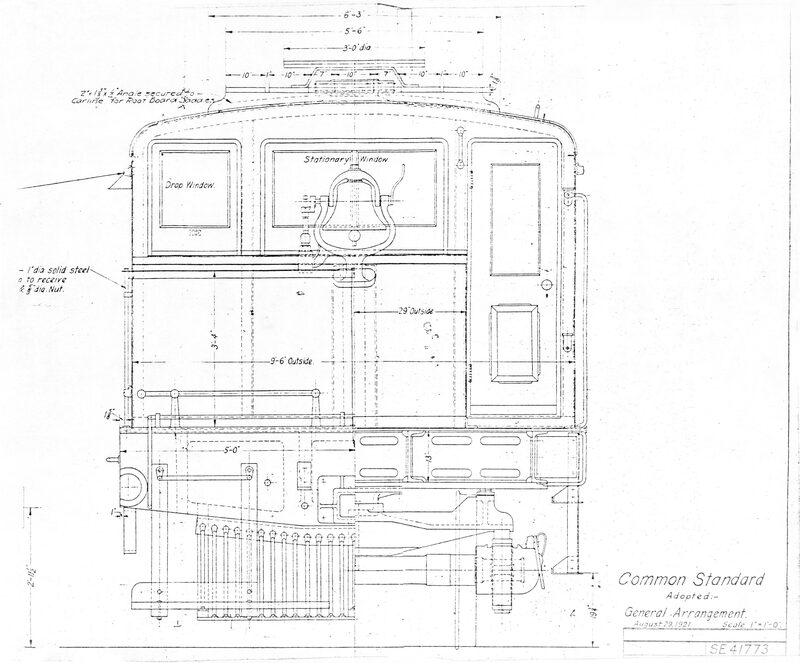 These three shop drawings illustrate one of Pacific Electric’s D-Class steel steeple cab electric locomotives. The original order of the 1601 – 1618 steeple cab electrics were built by Baldwin-Westinghouse and delivered to the PE in 1912. They were an immediate success on the railroad and more units were to be ordered. However, with this new order in the works, PE chose to assemble their own version of the Baldwin steeple cabs but this time, General Electric equipment would be used instead of Westinghouse controls. 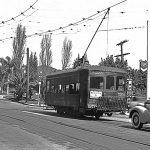 PE’s Torrance Shops actually underbid the Baldwin-Westinghouse quote and therefore won the contract to build numbers 1619 thru 1931. PE’s steeple cabs were just as much a part of the system as any other of their rolling stock. Electric locomotives like these were seen on almost every line the PE had. Their service lasted up until the end of electric freight service in 1957. A survivor of this class of locomotive, PE 1624, is preserved in operating condition at the Orange Empire Railway Museum in Perris California. The drawings seen here are dated August 29, 1921 and do not indicate if this was one of the already built Baldwin-Westinghouse units or if was part of the yet to be delivered PE-General Electric version that was still on the drawing board. Can the pe drawigs be purchased. Ive got a 1.5 scale and would like to detail it. You are free to print and use these for your modeling, Dennis. Why was it called a Steeple Cab? Because the outline of the cab and hoods resemble a church steeple.